With the cold spells drawing upon us and the nights getting darker, there’s nothing more comforting than sipping a warm and soothing hot drink to fight the winter blues. Amid the latest buzz in herbal lattes and turmeric lattes, you may be wondering what is Turmeric Golden Milk? This age-old Eastern cooking spice is increasingly becoming popular as a hipster beverage in the West. Seriously rich in antioxidants and anti-inflammatory properties, even Starbucks and Pret A Manger recognises it’s healing powers and have jumped on the band wagon to produce a turmeric latte. So what is it exactly? Native to southern India, Turmeric (Curcuma longa) is a perennial plant and belongs to the Ginger family. The root of the plant is used both as a spice and as a medicine. Traditionally, it is used in Ayurvedic medicine as a powerful anti-inflammatory herb. As a symbol of prosperity, it was considered a ‘cleansing herb’ for the whole body. In India, it is widely regarded as a tonic for digestive and liver issues, blood disorders, skin disorders and as a wound healer. In Traditional Chinese Medicine (TCM), it’s used to treat liver and gallbladder issues, help stop bleeding, ease menstrual pain and chest congestion. Nowadays, it’s popularly known as the yellow spice that gives curries their incredible golden glow. It’s main plant chemical, curcumin, (which gives the spice its vibrant golden hue) has been shown to contain potent anti-inflammatory and anti-oxidant effects that may be protective against certain inflammatory diseases, such as arthritis and Alzheimer’s and help prevent certain forms of cancers. So, What Exactly Is It Then? It’s essentially a latte made with milk or plant milk and Turmeric. There are many variations in making golden milk but to get the maximum absorption from Turmeric, add some form of fat (I like using coconut oil) and black pepper. In India, it’s known as ‘haldi doodh’ – which literally means ‘turmeric milk’ in Punjabi and traditionally made with cow’s milk. It’s often given to kids as a remedy to soothe coughs and colds. I’ve started drinking this blend a few months ago and it works a treat, especially before bed as it helps relaxation and helps boost the immune system whilst I’m in the land of nod. It can be drunk in the morning too as a great pick-me-up and a healthier alternative to coffee. My 4 year old loves drinking this too! You can either blend it all up and then gently heat it up in a pan for 3-4 minutes. Or just add everything (except the honey which you can add at the end) in a pan on a low heat and stir generously until steaming but not boiling (6-7 minutes). Either way, you’ll have some very yellow-stained kitchenware! One issue with using Turmeric to heal is it has poor bioavailability, which means the amount we can absorb and actually use. With Turmeric you would have to consume quite a bit in order to reach the therapeutic dose. Inflammation is the body’s natural way to respond when it identifies something as harmful such as an injury, an irritation, a type of bacteria or even pollen. It is part of the body’s immune response and generally involves pain, redness, swelling and warmth. Emerging scientific studies into curcumin and it’s anti-inflammatory properties have been successful in treating arthritis, osteoarthritis, rheumatoid arthritis, ulcerative colitis and pancreatitis. Cancers are a group of diseases characterised by abnormal cell growth and can develop anywhere in the body. Scientists now believe that there as many different forms of cancer as there are people who have cancer and the most startling evidence is the fact that many cancers occur largely in developed countries. 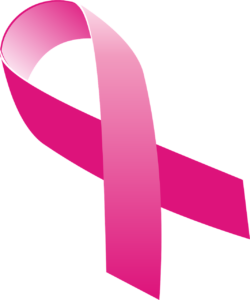 According to Cancer Research UK, 1 in 2 UK people will be diagnosed with cancer in their lifetime. That’s quite staggering data. Evidence also suggests that Turmeric is effective against blocking and killing tumour cells. The chemoprevetative effect of curcumin during the progression stages of colon cancer significantly inhibited tumour growth. Antioxidants are compounds that protect the cells in the body from oxidative damage. Oxidation is a chemical reaction that can form nasty invaders like ‘free radicals’ that don’t belong in the body. They can be produced by smoking, radiation, environmental pollution and burnt foods, such as BBQ food. A lifelong disorder in which the body is unable to regulate glucose which leads to high levels of blood sugar in the body. According to the NHS, Type II diabetes is more common than Type I diabetes as in the UK, almost 90% of adults with diabetes have Type II. A 9-month study into the use of curcumin delayed the development of Type II diabetes. Extensive research within the past two decades has revealed that obesity is a major risk factor for Type II diabetes, atherosclerosis, stroke, cancer and other chronic diseases. 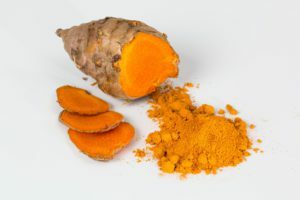 One study found that orally ingested curcumin reverses many of the inflammatory elements associated with obesity and improved glycemic control in mouse models of Type II diabetes. Alzheimer’s disease is the most common cause of dementia that leads to the ongoing decline in brain functioning. Many studies have highlighted curcumin’s multiple pharmacological activities that have the potential to be used to treat many gastrointestinal diseases. Have you tried Turmeric Golden Milk before? If so, how did you make it? Did you drink it as a child or as an adult or perhaps you use it in cooking? Were you aware of the healing benefits from using this? I’d love to hear your thoughts, experiences and comments on the subject. Thanks for reading. With the latest buzz in herbal lattes and turmeric lattes, you may be wondering what is Turmeric Golden Milk? 6 great reasons to drink it and how to make it. I grew up using turmeric as a child in Trinidad, West Indies. After coming to the states in the sixties, we stopped using it as it was not readily available. As an adult, I started using it regularly. I did not know its benefits until recently. Most of our homegrown remedies have so many health benefits that we are totally unaware of. This is the first time hearing about the tea. I printed the recipe and would definitely try it probably as soon as tonight. Thank you so much for the information. Great article. You’re most welcome! It’s great to hear your brief history of using turmeric and that you are becoming aware of its health benefits. Our ancestors really knew a lot about using plants to heal through a lot of trial and error! I would love to know of your thoughts and experiences of using and if you have any questions please let me know. I had just taken my turmeric supplement just before I came across your post on Turmeric Golden Milk. And I wished I could have found it earlier so that I could make me some Turmeric latte. Can I ask why a kind of fat is needed while making the Latte and if it is necessary to take some fat when taking the supplement? 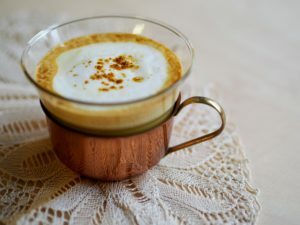 Again, can I use the supplement pill to make this golden latte? I do not have just the turmeric powder at the moment, so if I can use the supplement, is one capsule enough to make this latte? One issue with using turmeric to heal is it has poor bioavailability, which means the amount we can absorb and actually use. You would have to consume quite a bit of turmeric in order to reach the therapeutic dose. To overcome this drawback, certain foods are recommended which can boost absorption such as black pepper (due to a compound called ‘piperine‘) and fat (such as coconut oil, flaxseed oil or olive oil). If your supplement contains black pepper as well, then I don’t see anything wrong in taking the powder out of the capsule and making it into a latte and then add some form of fat. If you usually take one supplement capsule then I’m sure that’s fine to make the latte. Hope that helps and hope you return and let me know of your experiences. Your article on Turmeric Golden Milk is a huge help to me. I gaze been reading up alot of material on turmeric and it’s benefits can go on for miles. I don’t use turmeric as a spice except that it’s comes with curry, outside that I just don’t take turmeric, for no good reason I can think of. I have began to notice a constant pain on my chest and I’ve always been forgetful, I want to improve my overall health and I think that Turmeric Golden Milk will help me do that. Happy to connect with you my friend. Sorry to hear of your pain in your chest and hope you rid of it soon. Give the milk a try especially for its anti-inflammatory properties. For optimum health, I always suggest a healthy diet, regular exercise, limit stress levels (hard especially in this day of age), limit technology due to their high radiation levels and keeping a positive mental attitude. This is so amazing, I have never gotten a hold of a full information about tumeric as such not to talk of its Golden MILK, even though I know some of the health benefits of using a tumeric powder. It’s origins as a family of ginger never seems ro surprise me because they kind of look similar in structure. Thanks for this nice review, I’m sure to try it out. Thanks for visiting and your positive comments. Let me know of your experiences of trying this out. 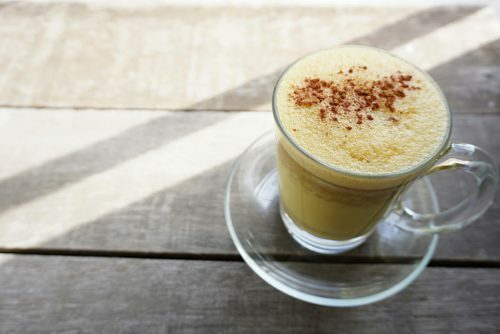 Turmeric golden milk looks really delicious, thank you for sharing this recipe. I came to know about the health benefits of turmeric through my Indian colleagues. They always tell me how they use turmeric in every dish they prepare. But I’m not sure they know anything about preparing turmeric golden milk drink. The winter is almost here and having a soothing hot drink as a healthier alternative to coffee or tea sounds like a good way to start each day. I drink a cup of tea or coffee everyday and I wish I had other choices whenever I feel like drinking something else. But you said it’s better to have this before bed. Would it be okay if I will have this twice a day, like in the morning and before bedtime? In the case of coffee or tea, I don’t drink 4 hours before bedtime because it would keep me awake. I prefer to drink this before entering the land of nod as it really helps with my sleep, but don’t just limit yourself to that. By all means it’s fine to drink this more than once a day as it’s full of immune-boosting goodness – so give it a try! Sometimes, I’ll make it through the day and share it with my 4 year old who loves it. Thanks for popping by and peace be with you. What a wonderful site this is! Very engaging. From the moment you open the page you are drawn to the product and your attention remains with each new bit of information. I must confess, I’d never much considered tea except for the occasional mint tea. Learning about the different types of teas, and even getting a recipe, and a bit of history makes one want to start exploring. I liked the information offered on the healing benefits for different ailments. So happy you’ve found the post useful and really appreciate the positive vibes. I hope to make a herbal tea lover out of you! Take care and have a healthy weekend! This is interesting. Just the other day, a friend was suggesting to add tumeric in her daily diet to see if it can help to ward off her impending arthritis pain. Although I am a big fan of spices, I mostly use it in curry making, not actually adding into milk. The recipe does look tempting, but I may skip the pepper altogether. Will certainly give this power drink a try. The black pepper helps to absorb the turmeric better therefore more healing power – maybe half a pinch would be better for you? I usually use it in my cooking too, so nice sprinkled on cauliflower and then roasted -yummy! I hope you do give it a try and let me know of your experiences. Thanks for visiting and have a great weekend. I was feeling nostalgic with your post thinking of my home. My mom had a organic turmeric patch in our back yard and I had helped her in harvesting turmeric, dry them under sun, grind and pack them for the whole year until the next crops rings its bell. I have used turmeric in every ways, even its leaves to steam cakes. I smell it now so vividly. No curry is made without turmeric in my house. The “haldi doodh” (turmeric milk) is made at home to drink to ease inflammation and to increase immunity particularly before winter months. We just make it by adding turmeric to warm cow milk or coconut milk. Now a day we sprinkle black pepper on the warm milk. The awesome benefits that you described here will help my family and the rest of the world. Thank you for sharing this valuable post. Thanks so much for sharing your experiences with turmeric! How wonderful to have been able to grow and harvest this as child. That is certainly a treasured memory and I’m really happy to have stirred this childhood memory from my post. The benefits are fantastic and such a soothing drink to have before bedtime. 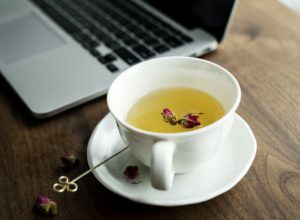 As a newcomer to blending herbal teas I was most interested in your site. It helped me to understand the benefits of herbal tea as well and I love the recipe you included as well for the Turmeric Golden Milk, especially that you made a way that I could download and print a copy – thanks. 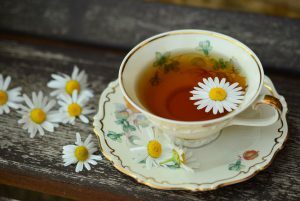 As I have said I am new to herbal teas, but your post really helped me understand the benefits and gave me a better understanding of turmeric and its uses. Up until now I had only seen it in the vitamin and supplement form at Walmart and I knew so little. Thanks for your explanations of its benefits, and even the history behind the product. So happy to connect with you – you have certainly come to the right place to learn more about herbs and plants and their incredible power of healing. You can use them in teas, salves, baths or even foods, whichever suits your needs. The power of plants for healing extends way more than the aisles of Walmart or any other giant corporate retailer. Were you aware that even conventional medicines have its roots in the use of herbs? Until 50 years ago, most of the entries in pharmacopoeias listing the manufacture of drugs, indicated an herbal origin. The attempt to identify active compounds of plants and use them as single drugs began in the 18th century with the discovery of morphine – and many thousands are now known. I hope you get to try the recipe out and let me know of your thoughts and experiences. I wish you well in your new ventures of herbal healing. I have heard about Turmeric Golden Milk before. Actually my mom gave it to my once or twice but I never liked it and I will always resist to drink that. I realize I was wrong after reading this article. 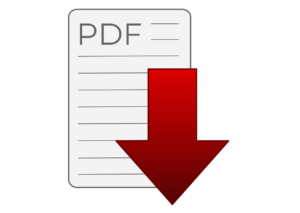 This article has gave me lots of information about how much disease it can prevent us from. Thank you so much for writing this article and sharing it with us. It’s funny how as kids we always try to resist what our parents give us even though they knew better. As a mum now, I’m always giving my son herbal drinks and remedies for whatever ailment he has but thankfully, he loves drinking and taking them! I’m just wondering years down the line, would he actually tell me which ones he didn’t! Thanks for visiting and happy to have stirred a memory! Peace be with you. Great post! We use curcuma in a lot of our dishes at home, but I had no idea it could be used as a tea. What you say with regards to absorption limits I also found very helpful. I guess we’ll have to start using more black pepper and olive oil to aid in the absorption of this magical spice. I’m going to give it a shot in the morning and see if I can ease some of my coffee dependency! I use turmeric too in my cooking – it’s absolutely yummy sprinkled on cauliflower and then roasted! Glad you found the post useful and let me know if it has helped with your coffee dependency – I just love my coffee too! I use tumeric as an anti inflammatory myself for my copd. I have found it very beneficial and makes me feel better most days. This recipe I will have to try I actually pinned it on pinterest so I can find it later. It sounds yummy and a different way for me to get my tumeric. 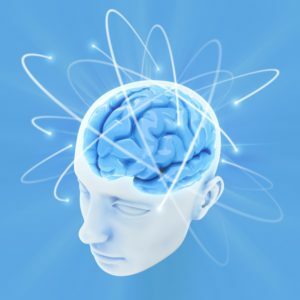 I did not know it was good for Alzheimer’s disease so that I found informative as well. Thanks for sharing your experiences of using turmeric for your ailment. I’m really glad it’s helping you and I hope you do get to try out the recipe. Omg! I love your post. I love tumeric tea. I only make simple tumeric tea but because of your recipe here, I will definitely try the Tumeric Golder Milk. Oh, I know that tumeric has a lot of health benefit, what I didn’t know was that it also helps with Alzeimer’s disease. Thank you so much for the recipe. I took a screen shot of it. I will definitely try this tomorrow. Happy to connect with you again my friend, You can download the recipe at the bottom of the infograph. Hope you give the recipe a try and let me know if you liked it! You can also add cardamom too but personally, I don’t like the taste of cardamon in my drinks! Thanks for your positive vibes and have a blessed weekend. Hi… Thank you for sharing this information about What Turmeric Golden Milk is? I came across tumeric a few months ago. I have heard so many good things about the benefit and the medicinal value of tumeric. You should give it a try for sure. I’m happy you found the post useful and hope you return to let me know of your experiences. Have a chilled weekend!